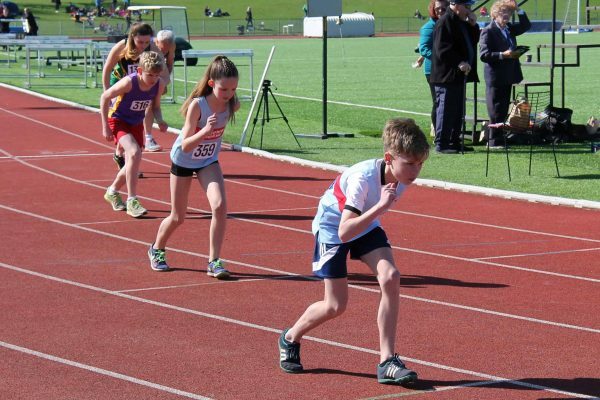 Tisley Park hosted another fantastic start to the Track and Field Season. Wycombe Phoenix brought athletes from all age categories, from Fundamentals to Senior. 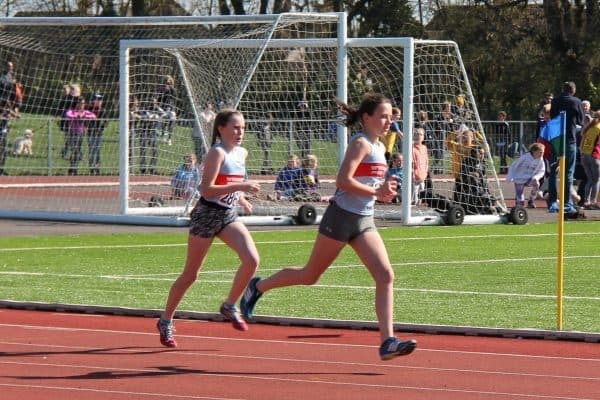 In the field Antonia (U13G) set her long jump PB early in the season at 3.58m and grabbed joint 3rd place, while Jemima (U17G) brought home a Gold with her Long Jump too. Lyla (U13G) brought home a silver in the Shot Putt with a 5.87m throw, over a meter more than last years PB. Not to miss out, Ryan (U15B) also threw a Shot Putt PB of 10.77m and gained a Triple Jump PB of 11.09m adding more gold to his weighty collection. Chloe (U20G) started her season well by collecting a Silver from the Javelin and a great start to the season with a 7.97 Shot Putt throw. Ella (U17G) also collected a Silver in the High Jump while getting started for the new season. On the track it was hard to spot a race without a Wycombe Phoenix athlete. With too many great performances and PBs to mention, here are a few highlights involving medals. In the middle distance 1500m, Ellie ran a 6.04s PB closely followed by Georgie also setting her first PB at 6:22. Oliva (U13G) came home in 4th/22 in the 100m with fantastic 14.88s first PB followed by Keira and Josephine also setting their PBs. Cristina (U15G) also grabbed a great finish with her 4th/30 position and time of 13.39s, then ran the 200m in 27.47 and collected her bronze. In the Men’s events, Tam (U15B) ran a great 100m to 4th position with a PB of 12.63s; chased all the way down by Matteo, setting his new PB just 2ms behind! Tam also ran 200m in 26.07s to achieve a bronze, followed by Oscar in 27.41s – another PB. Oscar then took on the 300m for the first time and enjoyed a bronze. Ryan (U15B) also ran with a great set of hurdles in 12.43s putting him in first. 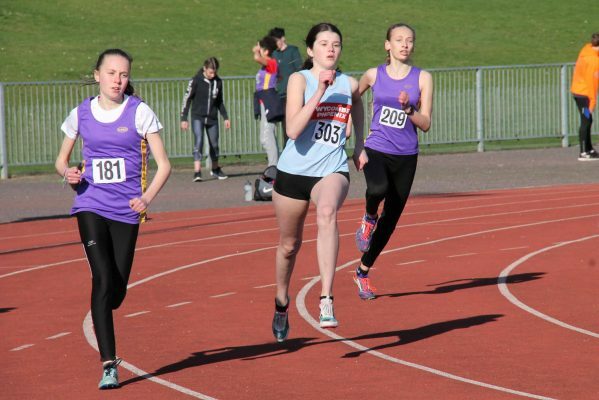 In the Girls 100m, Jemima (U17G) was very determined, finishing in 13.29s with a Gold. 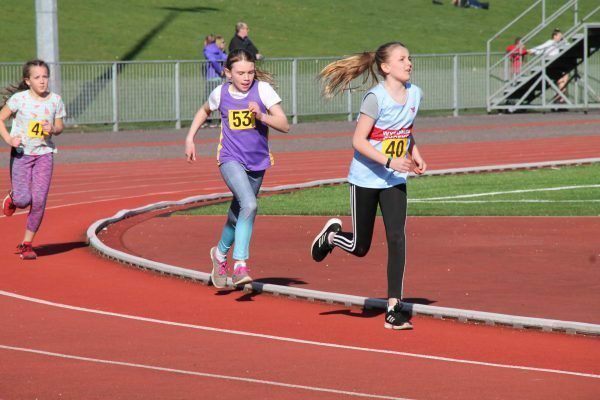 Lottie ran her 300m in a quick 48.06s to give her a bronze. Adding a hurdle to that run (300m Hurdles), Ella completed her run in 49.69 for a Sivler – setting her PB for her new event. Back on the 100m sprints, Louis G (U17B) collected a bronze with a 11.69s PB, followed by Keelan. Louis S (U17B) took a silver in the 200m with 23.75s. Harvey (U17B) managed a great first 1500m for the season in 4:26 giving him a gold. Back to the hurdles, this year Alex (U17B) took on 400m managing a great start to the season with 70.56s, while collecting his gold. 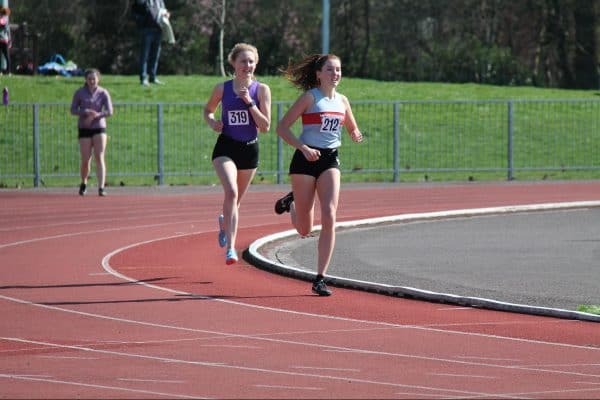 In 800m, Cerys (U20W) ran her first of the season to collect a silver while finishing in 2.25s. Fraser (U20M) also picked up a bronze finishing his 100m in 11.83s, just behind his PB. Myles (U20) entered the the 2000m steeplechase for the first time, finishing with 6:57.05. Michael (U20M) completed his 200m in 23.73s earning him a bronze. In the Senior category, Anna Lipman ran her 200m in 29.56s. Then Elizabeth ran her 400m with a PB in 65.64s gaining a gold. 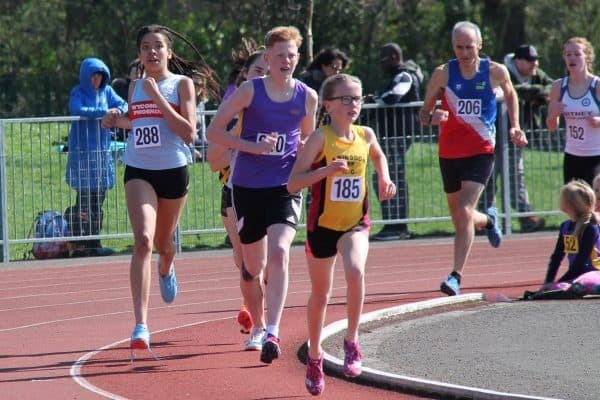 This year saw a big turn out in the Quadkids with nine athletes from Wycombe Phoenix . Competing for the Girls were Amanda, Marie, Sienna, Mia, Libby and Alice, with the boys adding Dylan, Ben and Ed. All athletes did themselves proud setting their PBs for the 75m, 600m, Long Jump and Howler (Vortex) for the season. Radley also passed complements from an official, full of praise for the Wycombe Phoenix Quadkids. Noticed a mistake in this report? – Visit Contact Us and select “Website Content”.